Enjoy a quiet, distraction free session in one of two west Edmonton studio locations. Studio sessions provide a clean, timeless look for your portraits, as well as a neutral indoor option for your session. We can meet at your favorite spot in the city or I can suggest one of many great locations that photograph beautifully! No session is complete without custom created artwork for your home. These beautiful black faux leather keepsake boxes are perfect for those that want something beautiful to touch and hold but don’t want an album. These beautiful boxes hold up to 15 matted prints of your favorite images. 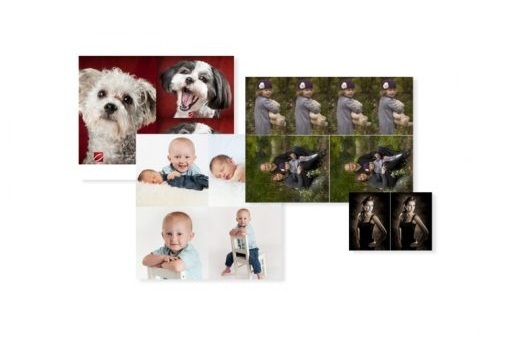 Matted Prints are bundled with your choice of a 10x10 or 12x12 keepsake Memory Box in sets of 5, 10, or 15. 10x10 mats hold a 5x7 inner image while a 12x12 mat holds an 8x10 image. We are proud to offer quality made Larson-Juhl frames. Prices quoted are for Style #552855 - Tribecca in Black. Additional styles are available at various price points. Get in touch for a custom quote. For those looking for a unique and modern way to display your family artwork Acrylic Mounting is a wonderful option. Your photographic print is intensified when mounted under crystal clear acrylic. The colours are more vivid and there is a sense of extra depth. A contemporary favorite, metal prints allow for more impact and drama, particularly in larger sizes. Dye is infused directly into a coated aluminum substrate. The end result is a vibrant impressive print with great detail and resolution. 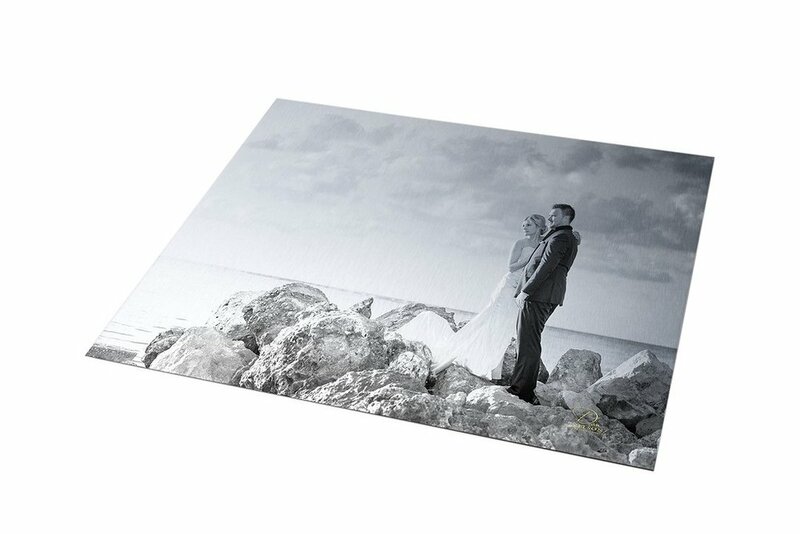 Photographic prints are mounted onto a sturdy foam board for added stability and protection from damage. The extra thickness of the print also allows the image to sit properly in your frame of choice. Perfectly sized for gifting to family + friends, as well as displaying in small frames around the home or office. These tiny accordion style albums are perfect for the mom that likes to carry photos in her purse, or a beautiful little gift for the grandparents, or even a tiny boudoir book to show off to your friends! They are available in 2x3 or 3x3 sizes (3x3 is shown in the photo.) and have various cover options to choose from. Digital files are perfect for sharing your favorite images online with family + friends. They are also a great way to protect your images and ensure that should anything happen to your prints, you have a back up copy waiting.